As perovskite solar cells set efficiency records and the nascent technology becomes more stable, another major challenge remains: the issue of scalability, according to researchers at the US Department of Energy's National Renewable Energy Laboratory (NREL). 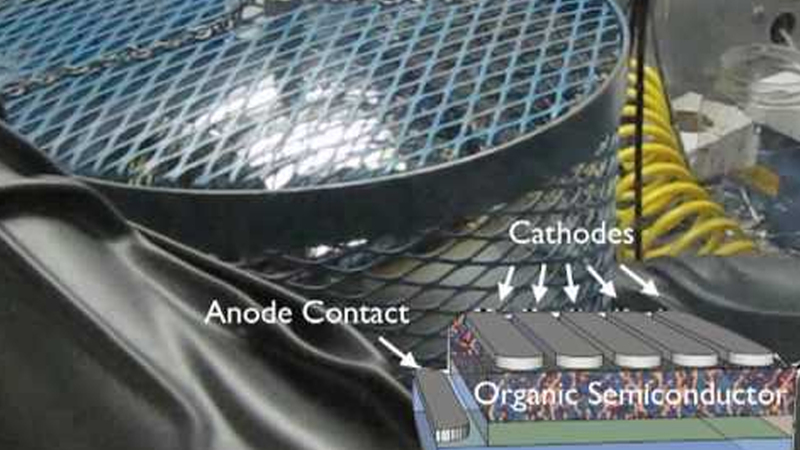 "It is scalable," said Kai Zhu, a materials science researcher at NREL. "We just need to demonstrate efficiency and yield at a large-scale to move the technology beyond the laboratory." Lead author of a new Nature Reviews Materials paper titled, 'Scalable Fabrication of Perovskite Solar Cells', Zhu and his colleagues at NREL reviewed efforts to move perovskites from the laboratory to the rooftop. Zhen Li, Talysa Klein, Dong Hoe Kim, Mengjin Yang, Joseph Berry, and Maikel van Hest are the co-authors. Perovskites have achieved record efficiency levels faster than any other solar cell technology with the current record - certified last summer - now standing at 22.7 percent. But efficiency in a perovskite solar cell declines as the cell and module area increases. A combination of factors is attributed to the decline, including the non-uniform coating of chemicals in the cell. Also, when any type of solar cells are joined together to create modules, inactive zones form between cells where sunlight isn't converted to electricity, leading to efficiency declines. To make a perovskite solar cell in the laboratory, scientists deposit chemicals onto a substrate. The perovskite material forms as the chemicals crystallise. The most commonly used deposition method in the laboratory, called spin coating, produces devices with the highest efficiency, but the process wastes more than 90 percent of the chemicals used, the so-called perovskite ink. Spin coating also works best on cells smaller than four square inches, but there isn't an easy way to enable this technology to be used on a larger surface. Blade coating, which uses a blade to spread the chemical solution on substrates to form wet thin films. The process can be adapted for roll-to-roll manufacturing, with flexible substrates moving on a roller beneath a stationary blade similar to how newspapers are printed. Blade coating wastes less of the ink than spin coating. Slot-die coating, which relies on a reservoir to supply the precursor ink in order to apply ink over the substrate. The process hasn't been as well explored as other methods and so far has demonstrated lower efficiency than blade coating. But the reproducibility of slot-die coating is better than blade coating when the ink is well-developed, so this is more applicable for roll-to-roll manufacturing. Ink-jet printing, which uses a small nozzle to disperse the precursor ink. The process has been used to make small-scale solar cells, but whether it is suitable for the high-volume, large-area production will depend on the printing speed and device structure. Other methods exist, such as electro-deposition, but there haven't been any reports of that being used to make direct deposition of halide perovskites in perovskite solar cells. Despite numerous challenges, impressive progress is being made toward scaling up production of these solar cells, the NREL researchers noted in the paper. The new paper outlined research that needs to be addressed to scale-up the technology. One area in particular that needs more attention is the ideal architecture of a perovskite solar module. Several studies have estimated perovskite solar cells could generate electricity at a lower cost than other photovoltaic technologies, although those figures are based on hypothetical research. But one conclusion that can be drawn from the studies is that the highest input costs for perovskite modules will come from substrates and electrode materials, which points to a range of opportunities for innovation in these areas.